Spotted At The Airport: Best “Define Halifax” Entry Yet! Ahaaa | Sack-Vegas!!!! Muhahaha! 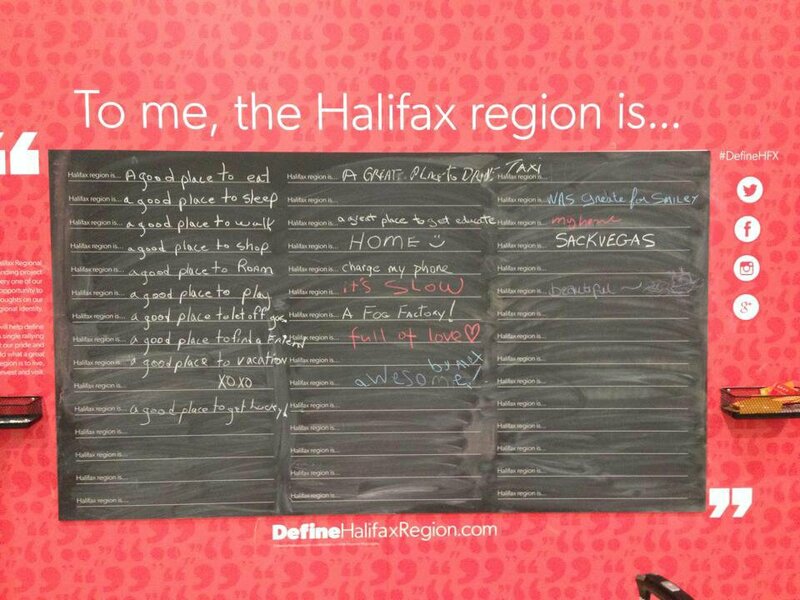 These “Define Halifax Region” boards (which really means define Halifax, IMO) have been popping up all around HRM. Apparently, the bigwigs have decided Halifax needs a new identity in order to attract people and businesses from abroad. I wish them good luck! I suppose we are technically part of Halifax, so hopefully this will exemplify some of the community spirit which is alive and well out here in Sackville. I am reading too much into this. I owe the person who scrawled “Sackvegas” on there a coffee. It’s hilarious! Hey Trent, is that chalk on your hands? Posted by Sacky on January 16, 2014 in Ramblings And Foolisness.